← Craft Fair. Before and after. Don’t you love the beaded trees in the background? 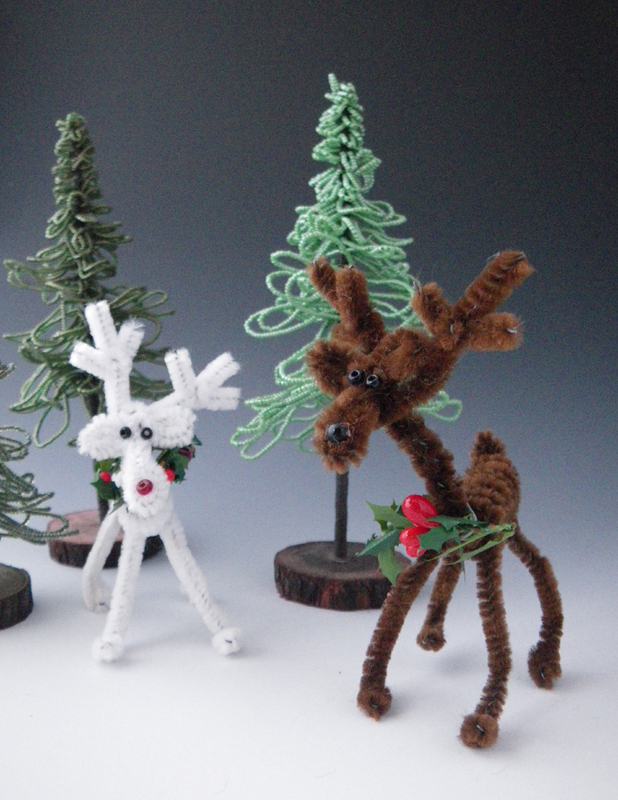 I wish I could say I made those too, but they were made by the talented Liz DeLaittre of Bar Harbor. I buy one every year at the Island Arts Association Holiday Fair. (Where I was last weekend.) They are way too pretty to put away after Christmas, so I leave them out on my windowsill all year. Got any pipe cleaners Holly? I bet you and Maia will be making some reindeer soon! Angie and I want to come and make some reindeer today. We’ll bring along Holly and Maia…wouldn’t that be fun! Love your jewelry display…beautiful “wooden steps” and great leaf-shaped earring cards! Have fun at your studio show today! Fa la la! I wish I wish I wish! It would have been really fun to have you all here. We’ll have to work on that “beaming around” plan so that Islesford is right next to Waterloo and Southbury. 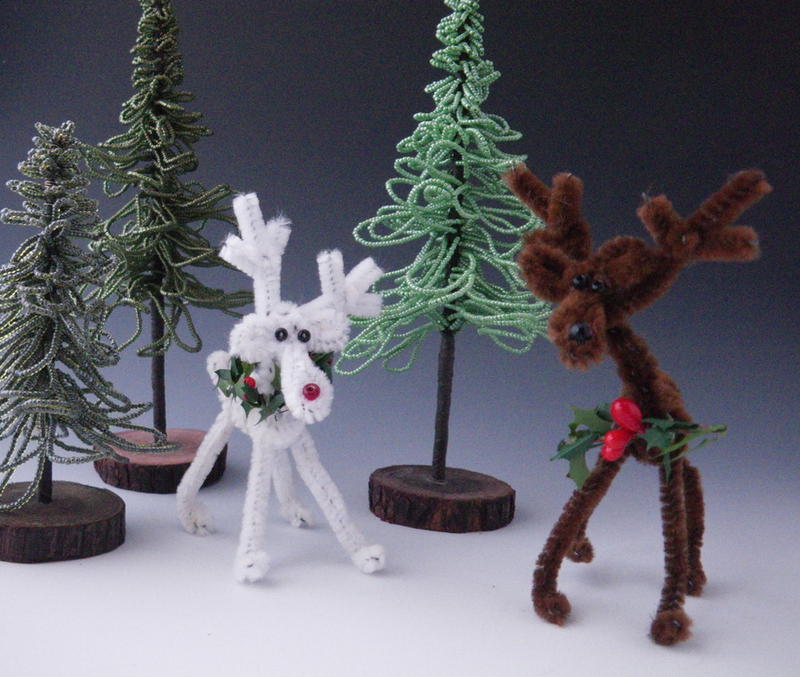 We had a fun group show up to make reindeer and I even had a few sales. I have had those wooden display steps for close to 20 years, going through many generations of coverings from dark green velvet to the current white felt. I like it the best with the leaf cards. I’ve only been making those for the past 2 years. Love both the reindeer and trees! Thanks Susan! We are loving your fudge sauce! o. my. god! even better than i had imagined! special trip tomorrow to get pipe cleaners!!!! and i do love those bead trees….does liz delaittre have a website? They are fun to make. I hope you make some. I’ll put some photos up tomorrow. Liz doesn’t have a web site as far as I know. I looked online, but could only find references to her name in the local paper as one of the participants of the craft show. Have fun with the pipe cleaners!